This magically Flashing LED shoelaces is suitable for any kinds of Shoes, including running shoes, boots and skate. It also can be used as Necklaces, Bracelets as well. Besides, it can be worn on your pets or anywhere you can think of. Fashion design make it useful and fashionable! 3.Powered by CR2032 button batteries. 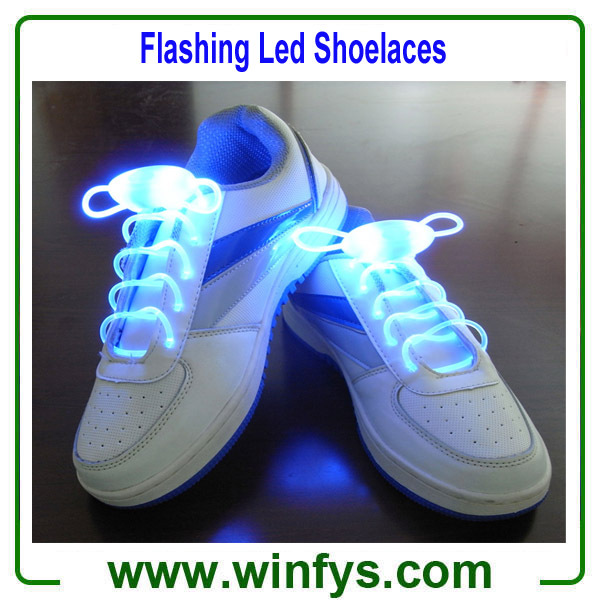 every pair of shoes with a CR2032 button batteries.Long bright cases 30 hours of continuous flashing or gap discharge is 60-80 hours, normal use, 2 to 3 months to replace batteries, have been sold at a convenience store or supermarket! 5.A waterproof, washable, durable and safe gift for children and teenagers over the age of 6. 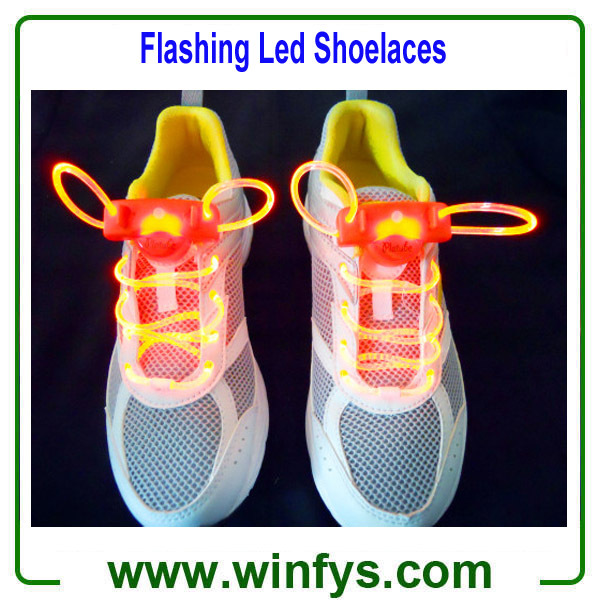 6.LED light source + high pervious to light optical fiber, focusing is strong, good exposure (whole shoelaces homogeneous soft glow) effect is much better than the plastic pipe material. 7. 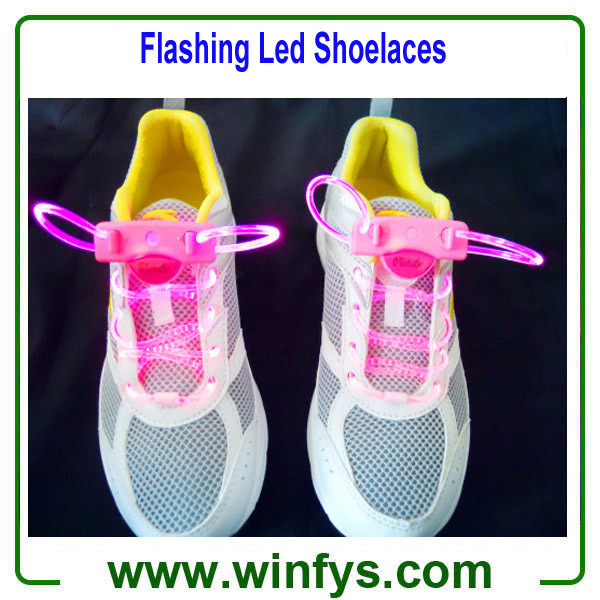 Suitable for running shoes, boots and skates, roller skates, shoes, basketball shoes, football shoes, children's shoes, casual shoes, sports shoes, suitable for outdoor sports, running at night, the big festival evening party, concert, promotion, cheer and other activities,Great for parties, night jogging and all kinds of night time fun and can also be used as necklaces, bracelets for Halloween, Christmas, New Year, etc. 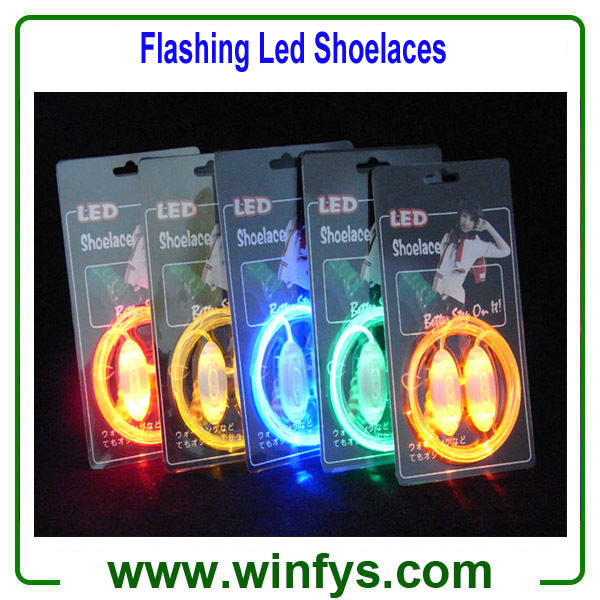 Application Suitable for everyday running,Skating, nighty running，promotion, gifts, dancing , cheer, concert, evening party, parties, night jogging and all kinds of night time fun and be used as necklaces, bracelets for Halloween, Christmas, New Year. 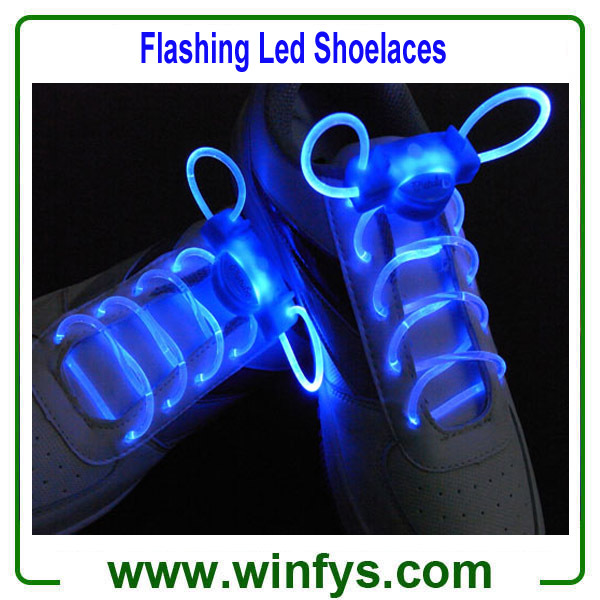 Led flashing shoelaces,Glow in the dark shoelace,Led shoelaces.